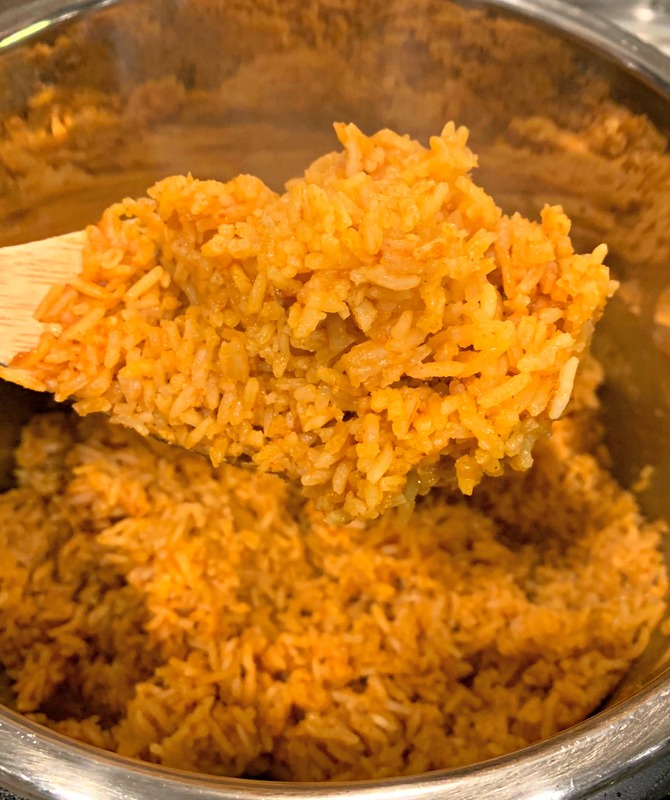 The most flavorful, simple Instant Pot Mexican Rice side dish made in under 15 minutes! So simple, you’ll never want to make it any other way! Just taking one scroll through my blog, you’ll quickly realize I LOVE my Instant Pot! Yes, I know, not everyone has one, but for those of you who do…..you’ll definitely want to try this recipe! Last week, I was rushed to put dinner on the table due to my kids having lots of homework. I had taken some ground beef out earlier in the day and made tacos. I will admit, I even served canned black beans with it as well (don’t judge, lol). Since you can’t have tacos without rice and beans (who’s with me?? 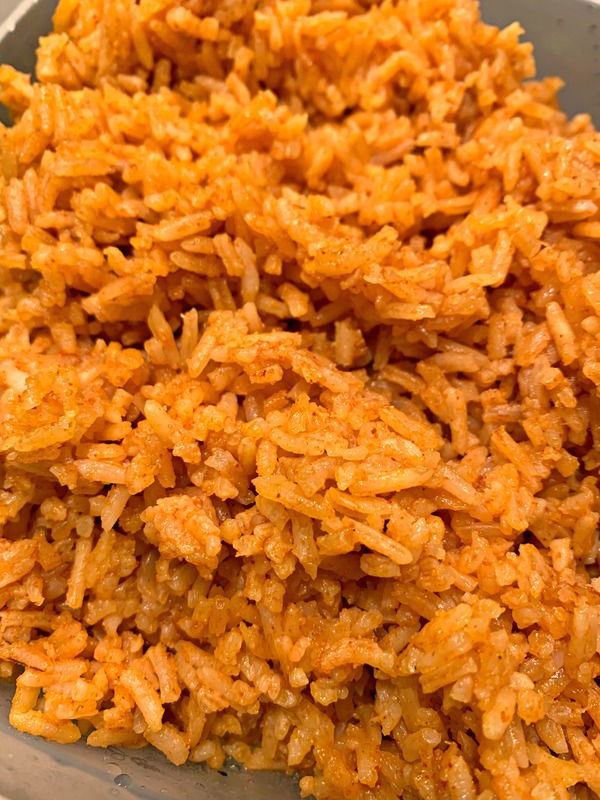 ), I needed a quick and easy rice recipe. Enter my Instant Pot. My handy kitchen side kick! I tossed a few on hand ingredients into the pot, placed the lid on, and a few minutes later the rice was done! The flavor was incredible and I swear, that appliance cooks the best rice, every time! It tasted just like restaurant quality, but was just as simple to make as a boxed kit would be! If you’re an avid Instant Potter like myself, try this and let me know what you think! If you haven’t jumped onto the Instant Pot train yet, I promise you, it’ll be life changing once you do! Great food made in a fraction of the time!! *Be sure to sign up for my newsletter below to receive my newest recipes emailed directly to you! Plus, follow me on Instagram, https://www.instagram.com/thecookinchicks/ and use the hashtag #thecookinchicks so I can see your creations! 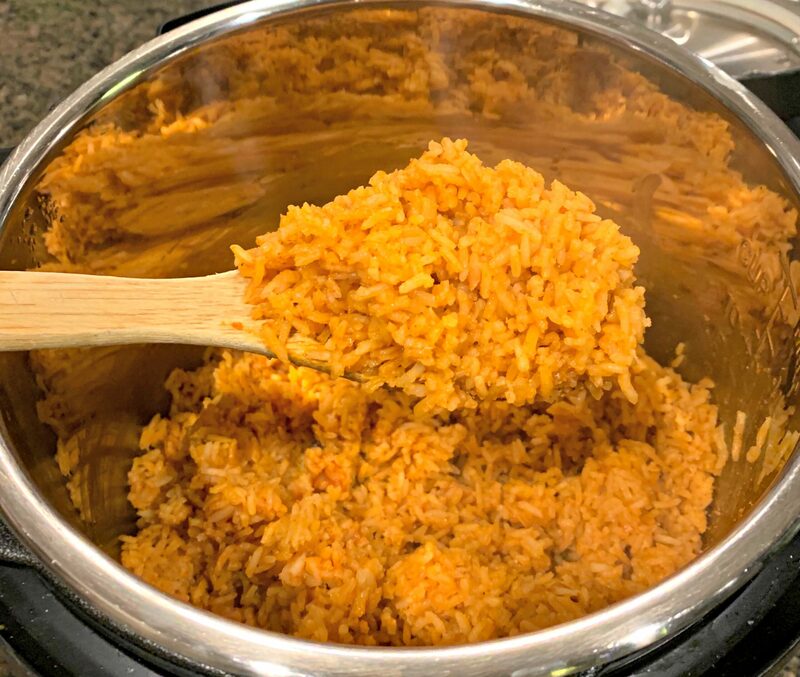 The most flavorful, simple Instant Pot Mexican Rice side dish made in under 15 minutes! So simple, you'll never want to make it any other way! Turn the Instant Pot to your saute setting. Saute the butter and rice for about 4 minutes. Pour in the chicken broth, tomato sauce, cumin, chili powder, garlic powder, onion powder, and salt. Stir to incorporate. Lock the lid in place and set timer to manual, high pressure, 10 minutes. *Make sure valve is in sealing position. Once timer is up, do a quick release. Remove the lid once all the pressure has released and the pin has dropped. Fluff rice with a fork and serve! Looks, and sounds wobderful. Can’t wait, to make it!!!! This weekend, is the goal. It definitely is tasty!! Hope you enjoy! So easy and the rice came out perfect. The only thing I will change the next time I make it is to add a serrano pepper to give it a little heat. I can’t imagine spending the time to make rice any other way. Thank you! Yea! So glad to hear you enjoyed it! Love the idea of adding a kick to this, let me know if you try it and how it turns out! How long if I double the recipe? Same cook time, just double ingredients! Can I try this recipe with brown rice? Although yes, I know you would have to increase the liquid and cook time a bit. I’m not positive on what the adjustments would be, but perhaps start with increasing liquid by 1/2 cup and adding 5 minute cook time? You may have to add more time, but that may be a good start point! Enjoy!